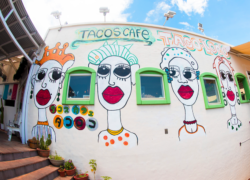 “Eating at this café is just like eating at an outdoor taco stand in Mexico,” says the owner of Taco Loco. 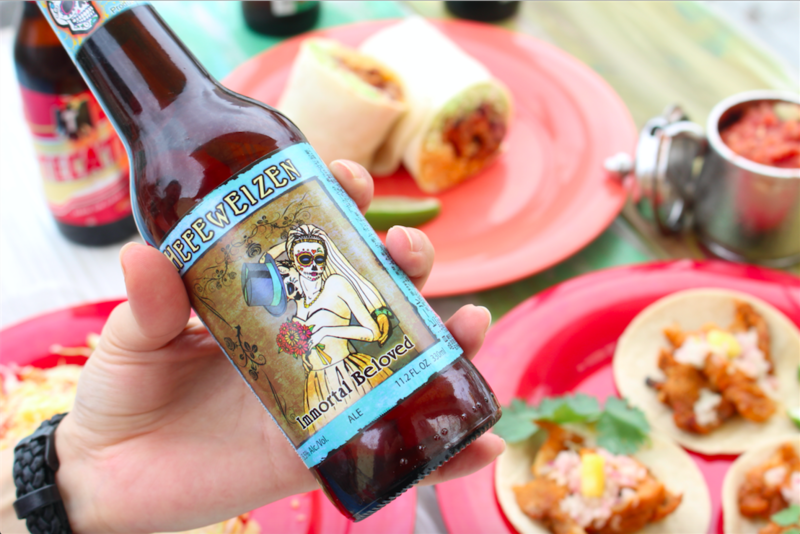 All dishes are made from scratch, including the shells, using spices from Mexico. 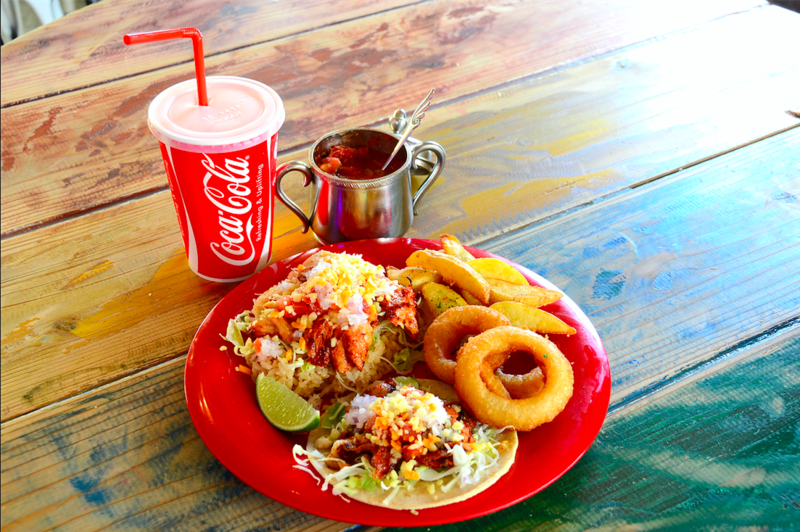 Choices include the Taco Loco Lunch at ¥1,080, including tacos, taco rice and onion rings and French fries (11:00-15:00); tacos al pastor; churro ice cream; nachos topped with ice cream; and burritos. The café is located on the second floor of a building on the river that runs through American Village and is a great place to have fun. The shop has plenty of seats outside and a mix of couches and tables inside, where one also finds a deck of cards on some tables. 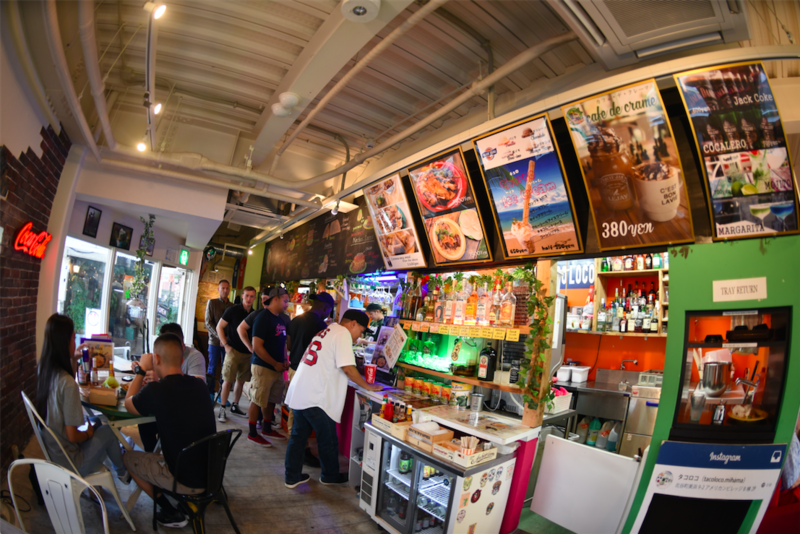 Last but not least is the shot bar, with a large selection of liquor, from tequila and to habu awamori.